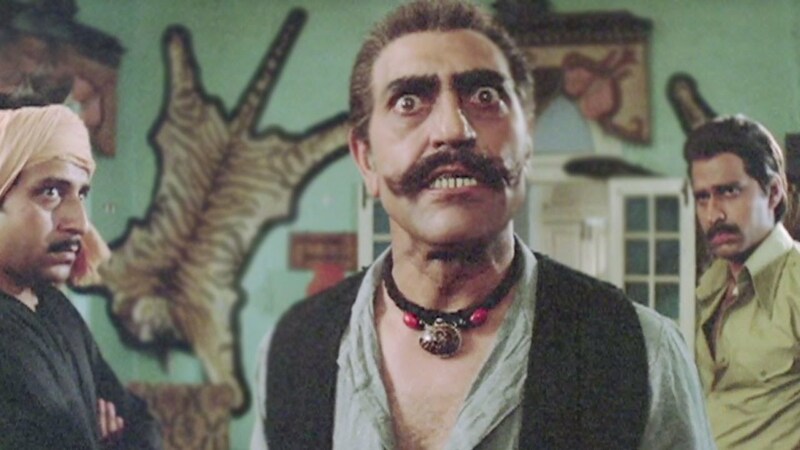 Legendary actor Amrish Puri expressed Indian anger and emotions in a flawless manner. Source: A still from Waaris (1988). While many Russians talk with amusement about Indians being emotional, extreme emotions are an integral part of the Russian soul as well. Geopolitical tensions spilled over into the Facebook page of this publication last weekend. It was a tough time to be an admin of the page as irate Indian users attacked just about every single post that the social media team put up. A post about vegetarian Russian dishes was met with a sarcastic request to “go and eat biryani.” One angry visitor asked the admins to stop saying Namaste and to instead use Salaam, implying that the site should now address people from the neighboring country. Along with angry rants came outpourings of grief and declarations of betrayal. I, for one, am glad that the Indian government, and particularly the Ministry of External Affairs, is run by pragmatic and intelligent individuals that don’t believe in petty and kneejerk reactions. Extreme reactions to political developments come from watching too many Hindi movies, television soap operas, and worse, news debates on television, where high TRP is the ultimate goal. While it’s good that our films encourage fierce loyalty and unconditional love, it’s important for us, as Indians, to have a practical and realistic look at the world. When some of the social media comments were brought to my attention, I couldn’t help but visualize the great Indian actor Amrish Puri saying such things in a Hindi film with serious music playing in the background! Honestly, the excellent diplomatic relationship between India and Russia is not the reason I love the latter. For me, it’s more about the hospitality, kindness and wholesome nature of the Russian people. It’s the ease of becoming a part of Russian society, of being an insider. Russia, for me, is about the common people, the landscapes, nature, extreme climate and that wonderful thing called Russian humor. No positive or negative political development is going to change that. While my Russian friends talk with amusement about Indians being emotional, I can say with certainty that extreme emotions are an integral part of the Russian soul as well. Yes, culturally Russian men are encouraged to be strong and present themselves as calm, patient, and tough. But it’s often just a mask. In my opinion, Russians are better at hiding their disappointment than Indians, but tend to be just as emotional even if they don’t always display such emotions when sober. Like the weather in the country, the Russian soul is prone to extremes. The extreme glumness is like a November morning, when it’s cloudy and gray and the icy wind blows away the last of the autumn leaves from the trees. It’s bitterly cold and ugly but there’s no trace of snow, something that inevitably brings happiness in the initial stages of winter, as it’s a reminder that the New Year is around the corner. The joy that the Russian soul can produce is like a romantic evening in May when the grass is green, flowers dot the landscape, the divine scent of lilacs gets carried across the cities by a gentle spring breeze, and the sun sets late in the evening. Of course, the emotional rollercoaster that the Russian soul goes on doesn’t depend on the weather. Many describe the 1970s and 80s as the heyday of India-Russia friendship. This would be a very superficial way of looking at things. In those ‘good old days,’ only the most fortunate of Russians could visit India. Most Russians saw India only on the silver screen, falling in love with the sights, sounds, and colors of the country. Indians used their imagination when it came to Russia, as the Soviet books and magazines that were easily available made the country all the more popular. Essentially, in those days, Indians and Russians saw the best of what the other country had to offer. In a smaller and better-connected world of the 21st century, two-way travel is much easier and we interact with each other more than the 1970s generation. So yes, we do see the good and bad in each other and our countries. More business and personal interaction is bound to create situations that hitherto did not exist. Russians have adapted better to this reality than Indians have. Many Russians have travelled to some not so beautiful places in India and have dealt with some of the inconveniences that foreigners face, but they still love the country. A large number of Indians still have wrong and outdated perceptions of Russia. This is slowly changing with the growing number of Indian tourist arrivals in the country, but most Indians still equate Russia with the Soviet Union. Russia has changed a lot over the last two decades, and is in many ways, much better than it’s ever been. When more Indians understand the contemporary reality of Russia, they will have a more pragmatic approach to the country, loving it no less than before.